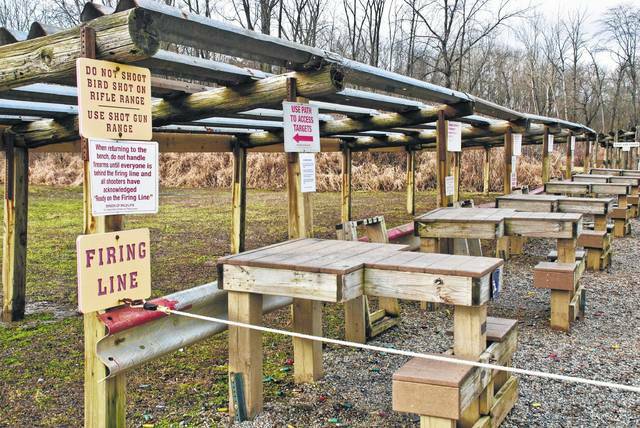 The firing lines of the Delaware Shooting Range stood empty for the 2017 season to undergo environmental testing and renovation. ODNR officials said they are waiting on test results and “the plan all along has been to re-open for 2018” season with the new shooting facility. The schematic shows the proposed $6 million layout of the new Delaware Shooting Range. The new facility will have six individual ranges for different skill levels and types of shooting. It will also have an indoor archery training center, restrooms, and office space. The Ohio Department of Natural Resources closed the Delaware Shooting Range in January for the 2017 season to undergo a $6 million renovation. The shooting range, located in the northern part of the county east of U.S. 23 along State Route 229, is usually open from March through December. Postell said he is waiting on the test results to come back. “I don’t have anything to share right now,” he said. According to ODNR’s website, nearby Cardinal Shooting Center will be honoring shooting range permits for one hour, Thursday through Sunday. ODNR officials said the renovations are funded through the sale of hunting and fishing licenses, the Pittman-Robertson Firearms and Ammunition Excise Tax, and the Dingell-Johnson Act. Both acts place excise taxes on the sale of hunting and fishing equipment, which is dedicated to maintain wildlife conservation. Postell said the property is owned by the U.S. Army Corps of Engineers and leased to ODNR. The Army Corps of Engineers asked ODNR to undergo a Voluntary Action Program to have testing done on the property to look at the impact shooting has had on the land. He said the test includes the soil, groundwater, and wells. “We knew the Voluntary Action Plan was going to take time. That’s why we closed the range down,” Postell said. The existing range, located in a floodplain, has been in use for over 50 years with no evidence of lead recovery being conducted. Postell said before anything could happen, the results had to be shared with the US Army Corps of Engineers. He said everything ODNR does has to be approved through the Corps and it would probably be the end of December before he could share any information with the public. From earlier reports, ODNR statistics indicate the sale of firearms has nearly tripled since 2007. Sales in 2016 totaled $14.5 million. During the 2016 season, 8,960 shooters visited the range, a thousand more visitors than it had in 2015. Burgess and Niple, an engineering and environmental science firm from Columbus, is doing the testing and designed the new environmental structure and facilities. 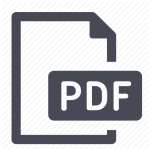 ODNR’s plans are to move the range from the flood plain it is located in now to higher ground to a 100-year flood plain. Once completed the new facility will have four hand trap shooting fields, 30 shooting positions at the 100-yard range, 36 positions at the 50-foot pistol range, 24 positions at the 25-yard range, 20 positions at the the 90-meter archery range, a 14 position 3-D archery walk-through course, a permanent range master building, an indoor archery range, office space, and permanent restrooms. This entry was tagged Delaware State Park, Ohio Dpartment of Natural Resources, Shooting Range. Bookmark the permalink.